The training started in earnest this month. 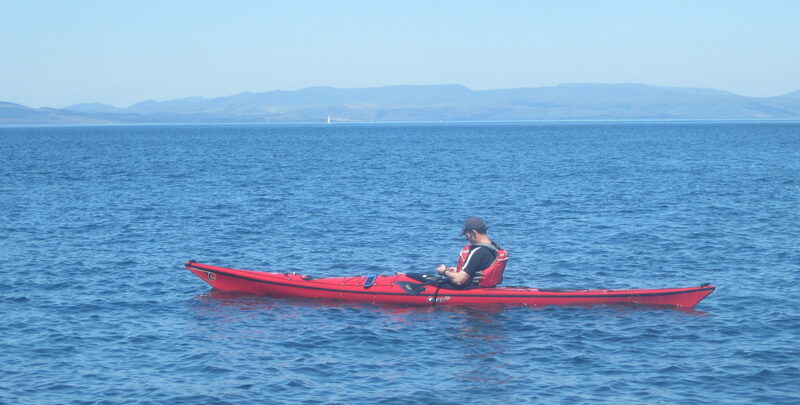 Hugh started off with an evening paddle for the Sea Kayak Expedition programme to the Sugar Boat on the 4th with Geoff, John R and Sheila. 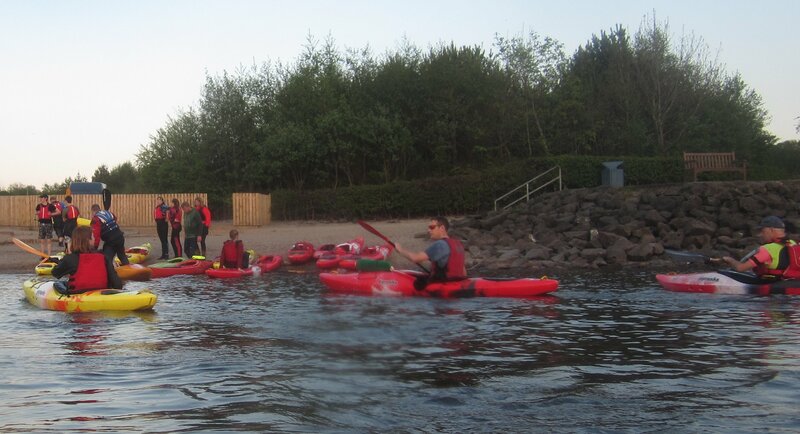 The following evening 18 Beginners and other members met at Luss. Robin and Tim took the least experienced along the shore and up the river, whilst Geoff headed off to Inchlonaig . On Wednesday 11th Hugh, on an evening with a strong F4/F5, took Jeanette and Francis (and Geoff) along to Rhu Spit to experience wind against tide in the narrows. A lumpy experience. On Wednesday 12th 19 gathered at Lomond Shores. The strong wind, which had been a feature of the last two weeks, thankfully died. The youngest (Alex, Jamie & William) with Tim and Stewart T. concentrated on building up some strength close to the lagoon area. The other 14 (Allan, Ross, Stewart, Rosie, Bella, Adam, John, Sheila, Paul, Mathew, Jenny, Rowan, Kerry, Geoff) had a mix of paddling, stroke development and ball games. A lovely evening and a useful training session.